Responsible for overseeing the global development of Philipsâ€™ mother and childcare portfolio, including well-known brand Philips Avent. AliÃ«tte joined Philips in 2008. She specializes in broad marketing experience across multiple markets, including concept ideation and creation, market activation and global business management. 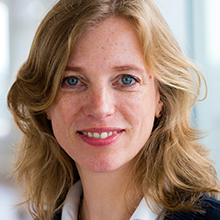 At Philips, she worked as Global Marketing Leader for Philips Health and Wellness including global brands Philips Avent and Philips Sonicare. She was then appointed to Global Head of Brand & Marketing Consumer Lifestyle, contributing to the new Philips positioning â€˜Philips, Innovation and youâ€™ and accelerating the Philips Digital journey. Prior to joining Philips, AliÃ«tte worked for 12 years for Procter & Gamble. AliÃ«tte lives in Amsterdam with her husband and three children.